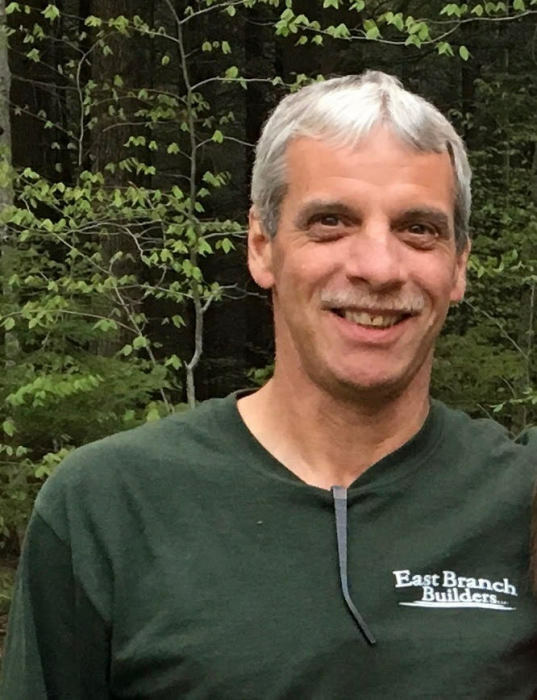 Joseph A Drapeau, 55, of Lincoln NH, died at his home in Bradford, VT on November 10, 2018. Joe was born in Littleton, NH on December 11, 1962 to Nancy McMorran and Robert Drapeau (deceased). He grew up in Lincoln and graduated from Lin-Wood High School in 1982. He then enlisted in the U.S. Army and served from 1982-1986, followed by two years of service in the Army National Guard. After returning to Lincoln, he worked as a skilled carpenter and handyman. He was always willing to lend a helping hand when needed. Joe was an avid soccer player during high school and continued to play on a league while stationed in Germany. He enjoyed many outdoor activities such as: spending time at Elbow Pond as a child, camping with his wife and kids, lazy days at the river, cross-country skiing, and hiking anywhere in the local woods including his favorite spot, First Ledge. He could never say no to a game of horseshoes, darts, or backgammon and loved to sit around a campfire with his family and friends. Joe was loved by many, especially his daughter Rachel, son Joseph, and Janet his wife of 25 years. Also his immediate family, mother Nancy and father Phillip McMorran (deceased), beloved sister Becky, and brother George and wife Helen. He will be sadly missed by his nephews: Tony, his wife Denise and their three daughters; Jim Martin, his wife Victoria and their four sons; Paul Martin, his wife Katie and their son and daughter, Jake and Aidan McGinley, and Kieren and Ryland Drapeau. Joe will also be remembered fondly by numerous extended family members and dear friends.